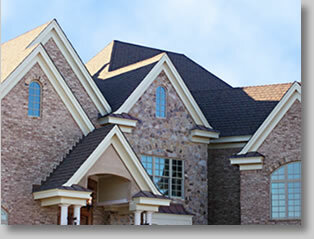 Performance Metal Roofing | Specialty Shingles | ME and NH | TamkoPerformance Roofing, Inc.
It’s easy to see the value in buying Specialty Shingles. Specialty roofs are different from other types of roofs and must be installed in very specific ways, by professionals who are specially trained, and who are continuously upgrading their skills. Before they begin the work, our professionals are carefully selected as we only employ those who value working in a safe, stable, drug-free environment. Specialty Shingles in ME and NH have other benefits, too, including reduced energy costs, reduced insurance prices, less likelihood of structural damage due to harsh New England weather and increased resale value of your home through home appreciation. Install good flashing at all valleys, dormers, or other roof penetrations. Most roofs leak around penetrations and where different slopes come together. Provide Adequate Attic Ventilation—Proper attic ventilation is vital to a healthy, green roof. Ridge vents, soffit vents, and gable vents all help to keep air circulating in your attic. That will equate to a cooler attic (and home) in the summer, and reduces the build up of condensation in the winter, which can result in water damage, rot, and mold growth. Avoid Roofing Adhesives—Most roofing adhesives contain very high levels of Volatile Organic Compounds (VOCs) that can off-gas into the air and make their way into your home, eventually compromising indoor air quality. To avoid the potential negative health consequences (such as kidney and liver problems and issues with the respiratory and nervous systems), stick to mechanical fasteners like nails, nuts, bolts, and screws. And if you absolutely have to use an adhesive, always use a water-based adhesive rather than a solvent-based one. Hire a Quality Contractor— Poorly installed roofs can easily leak into your attic, facilitating mold growth, which has been proven to be one of the most dangerous contributors to poor indoor air quality and health problems. Building a Steep Sloped Roof—A roof with a steep pitch discourages standing water, leakage, and other water damage. This means less chance of moisture penetration and a reduced risk of water damage and mold growth. 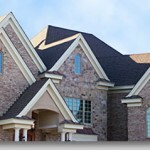 Why Maine and New Hampshire Should Hire Us for Specialty Shingles Roofing and Repairs?